Do you like flowers and magic? Then this game might be perfect for you! 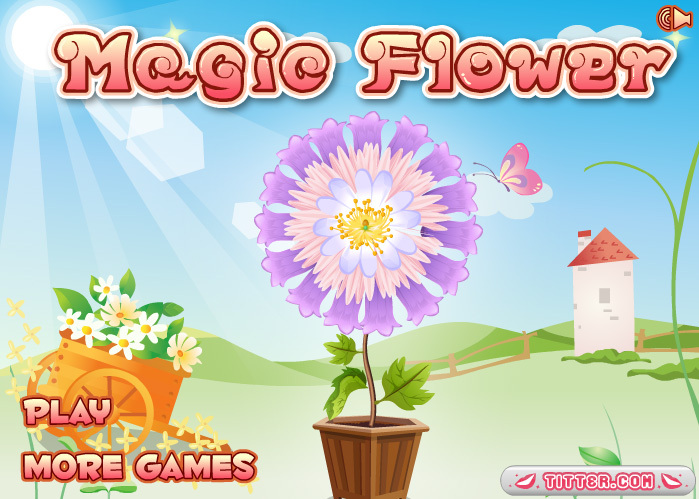 Use some magic to create the most beautiful flower you can think of! Create the heart, the petals, some more petals, a peduncle and some leaves. Choose the size and color of the petals. And do not forget the flower pot in which you would like to see your flower. Find a nice background for your creation when you are done and there it is: your own magic flower! You can take a picture now.